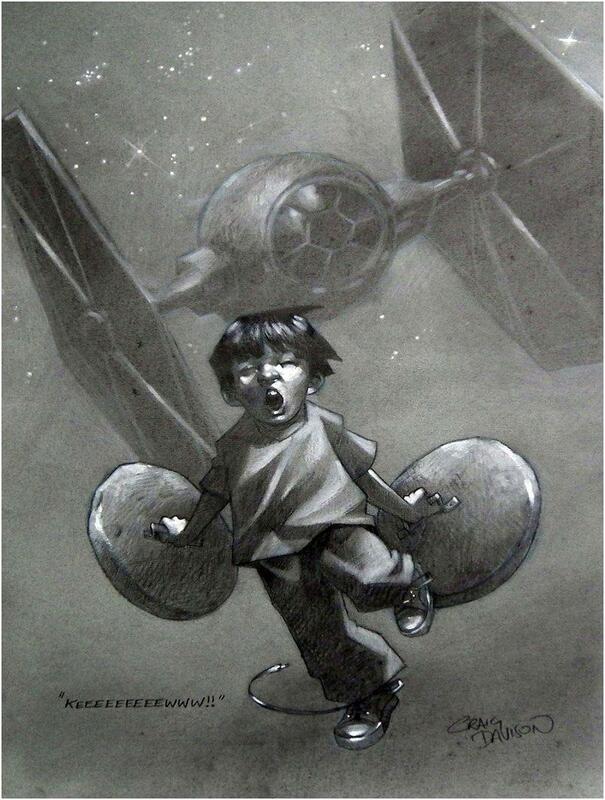 For generations, children grew up playing the games their parents thought them, the same they’ve played as children. 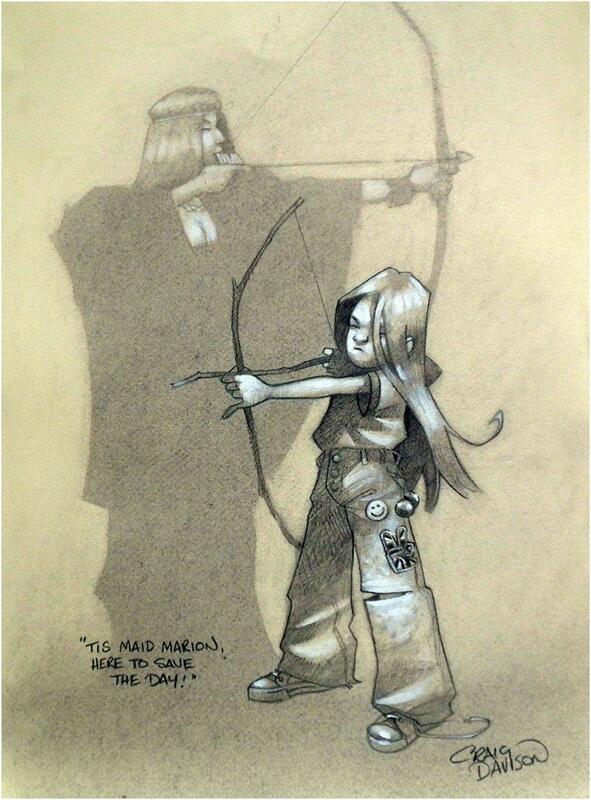 It has been like that for many generations. 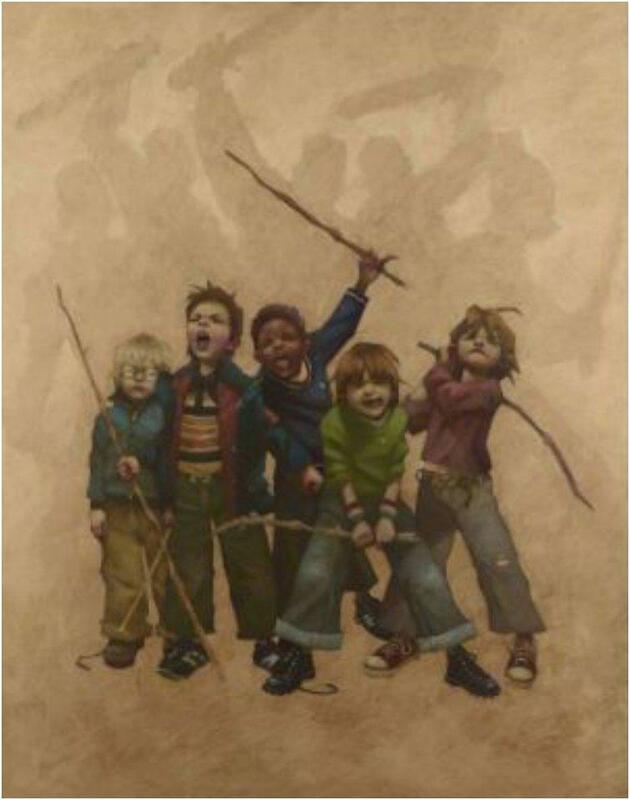 Each new generation might add or remove some part of a game, but the basic has always been the same. 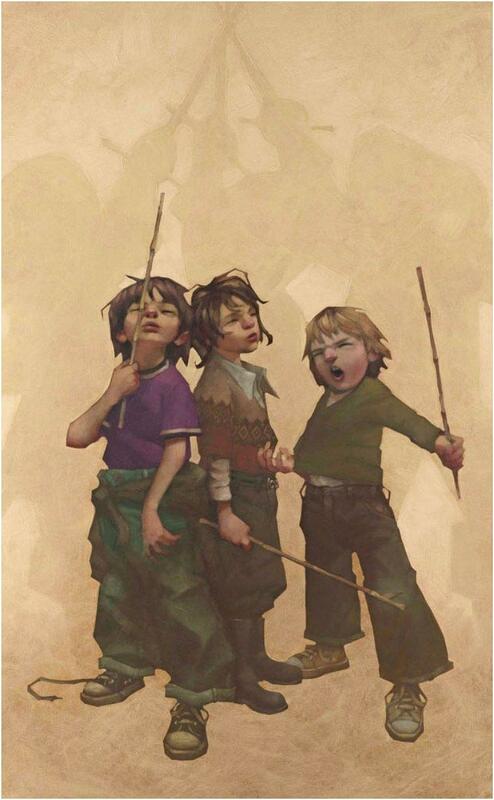 Playing outside with friends using the best toy in the world: their imagination. 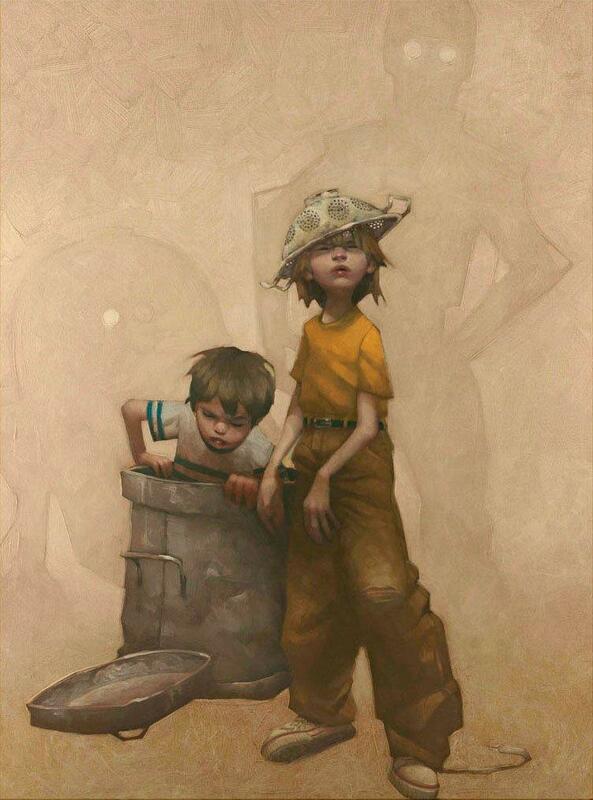 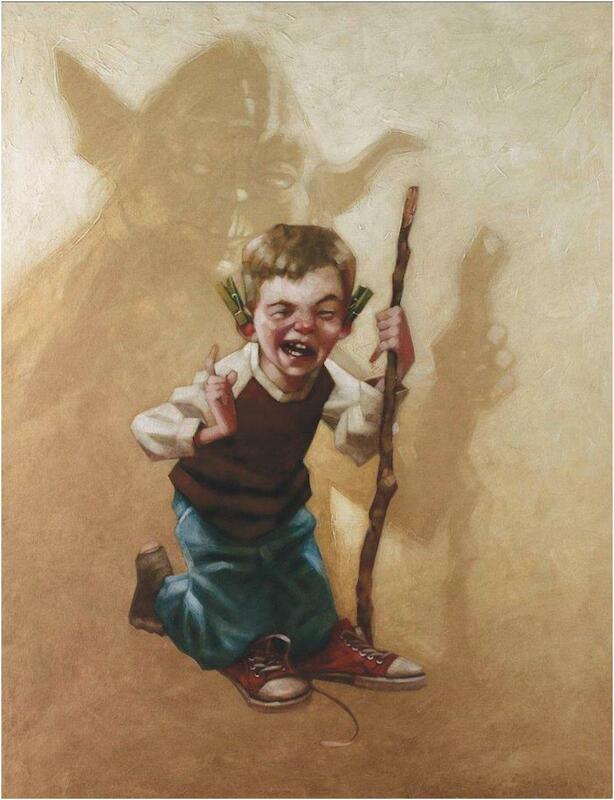 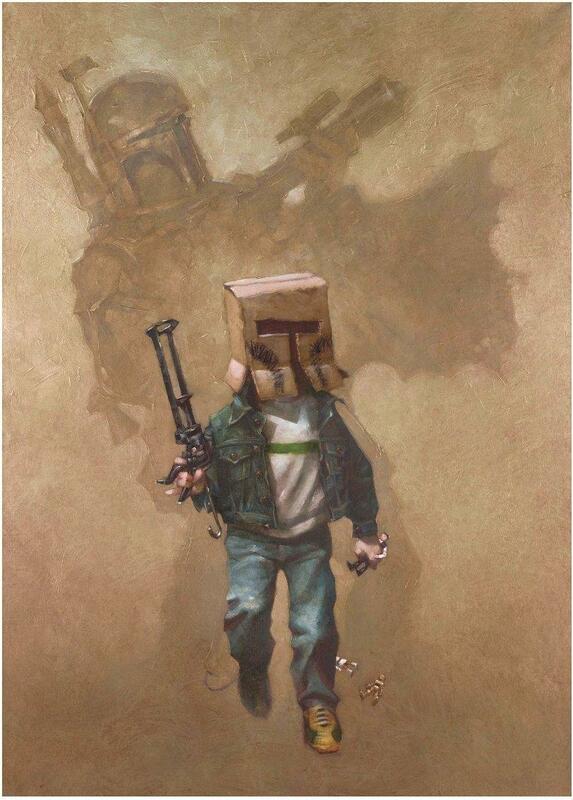 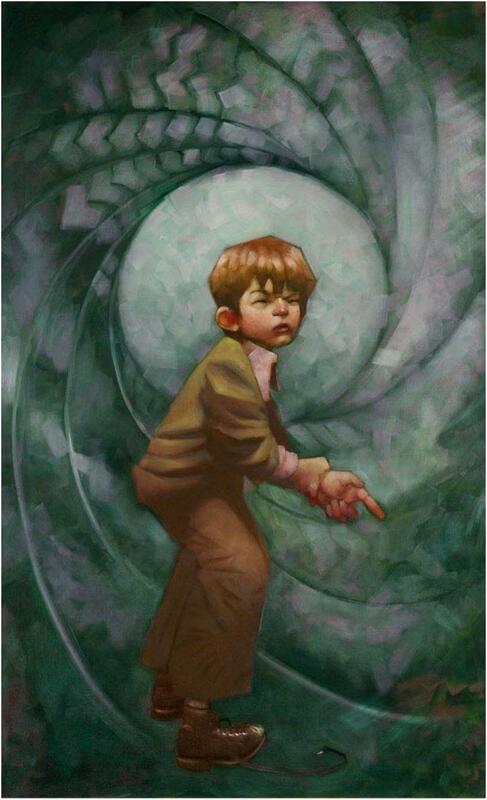 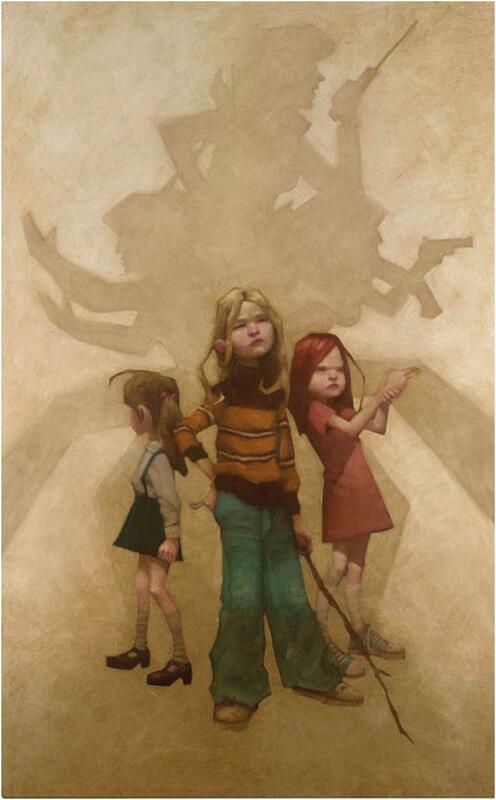 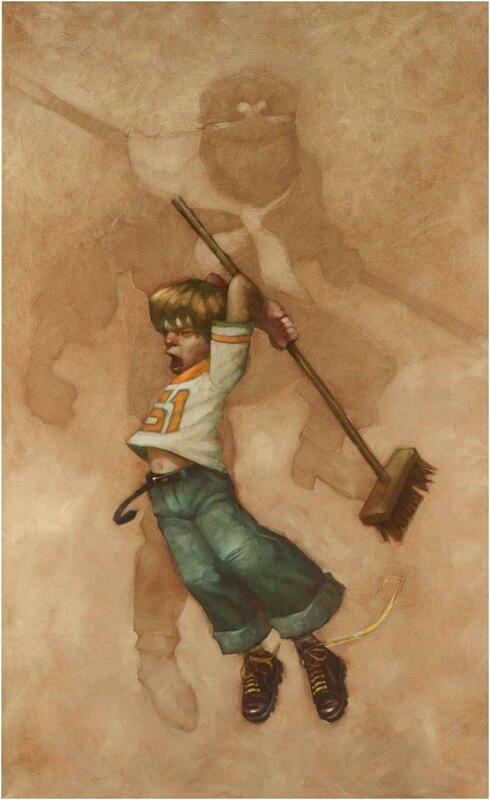 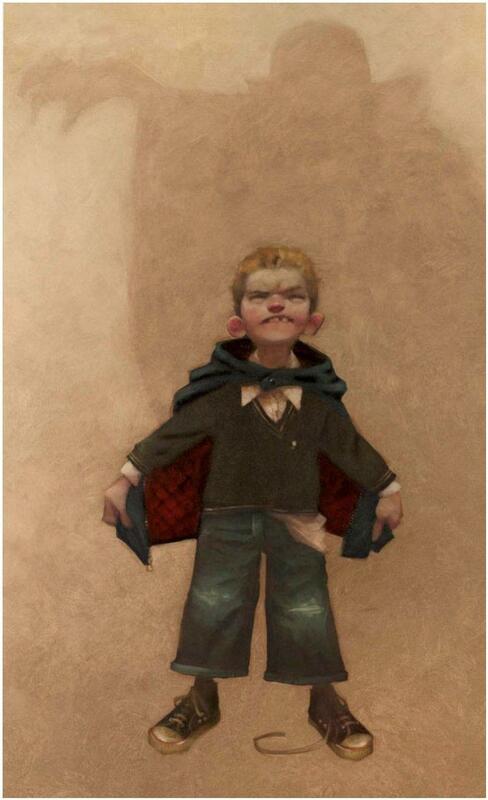 Artist Craig Davison has made a series of paintings depicting children playing pretend, drawing inspiration from the 70’s and 80’s when everyone’s favorite heroes were the the icons o that era, like Star Wars, Batman, Charlies Angels and many many more. 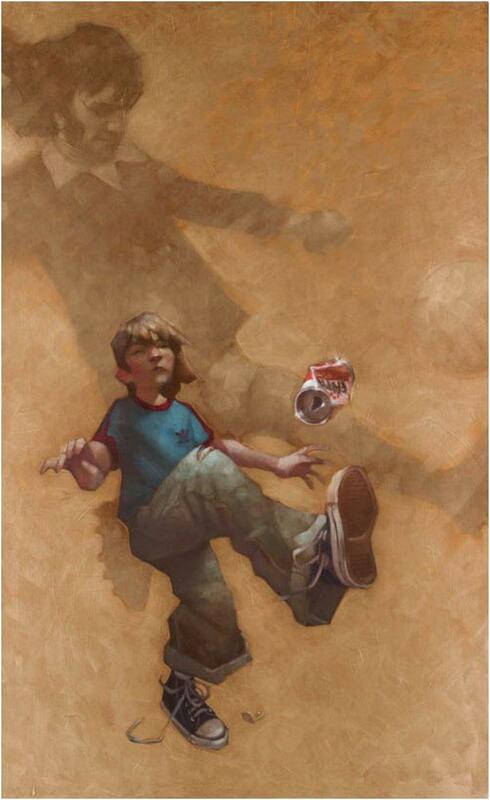 Get ready for a trip down memory lane. 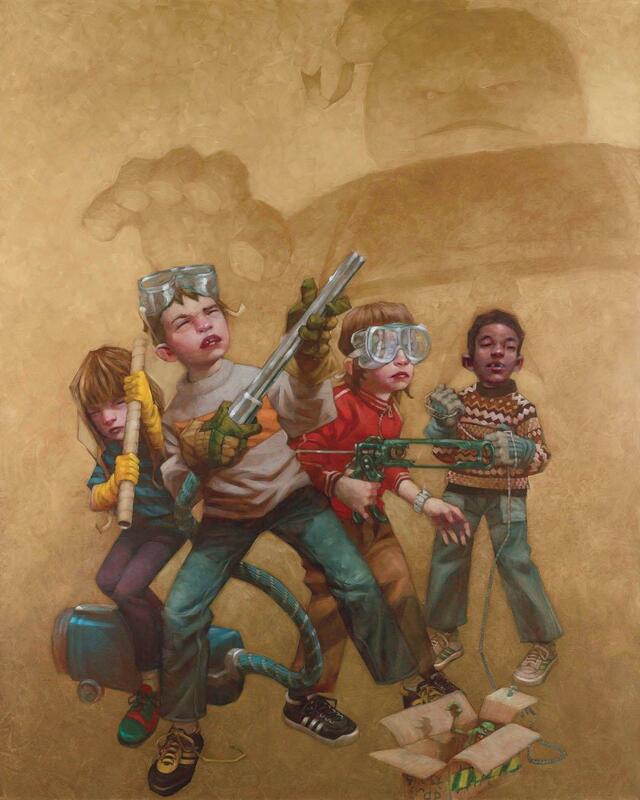 The way children play has changed dramatically over the past 30 years. . 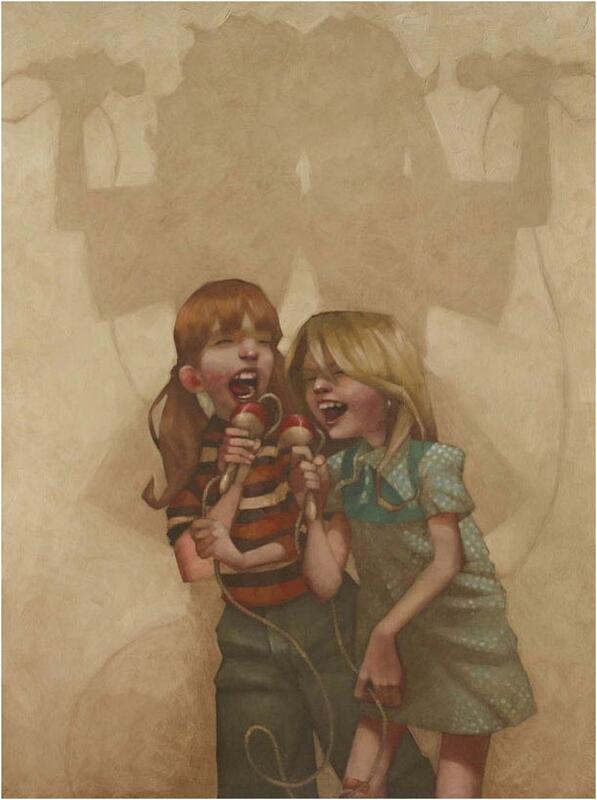 If we could put our childhood and our children’s childhood side by side, the obvious differences we’ll find show just how big of a gap those 30 years have put between us. 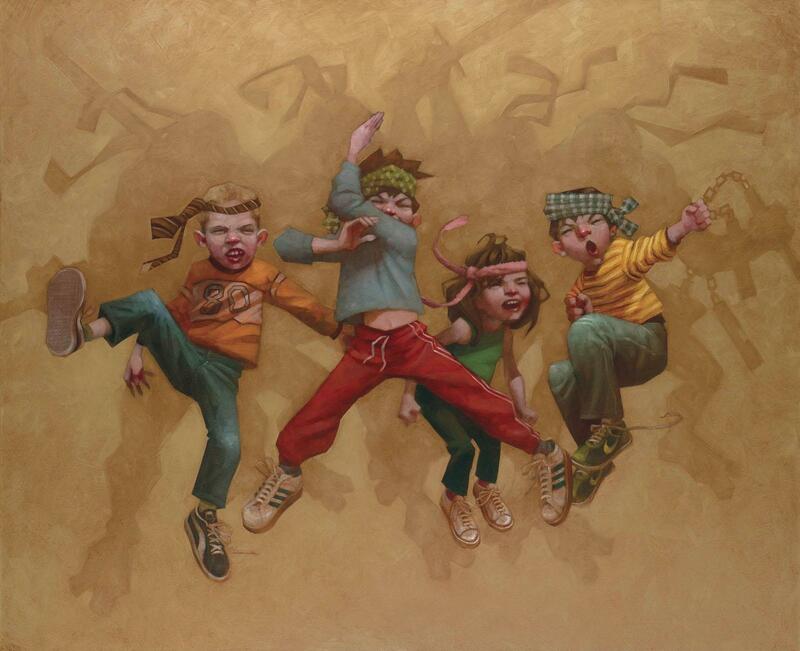 Today children are becoming addicted to technology, loosing the urge and need to play outside with another child and in those rare occasions when they do venture into the outside world, they want to play with the latest toy they’ve gotten. 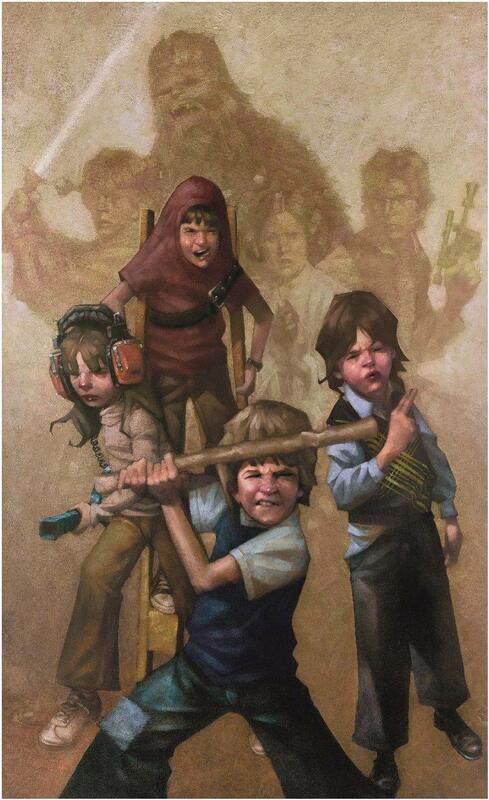 In our time things were a lot more simple. 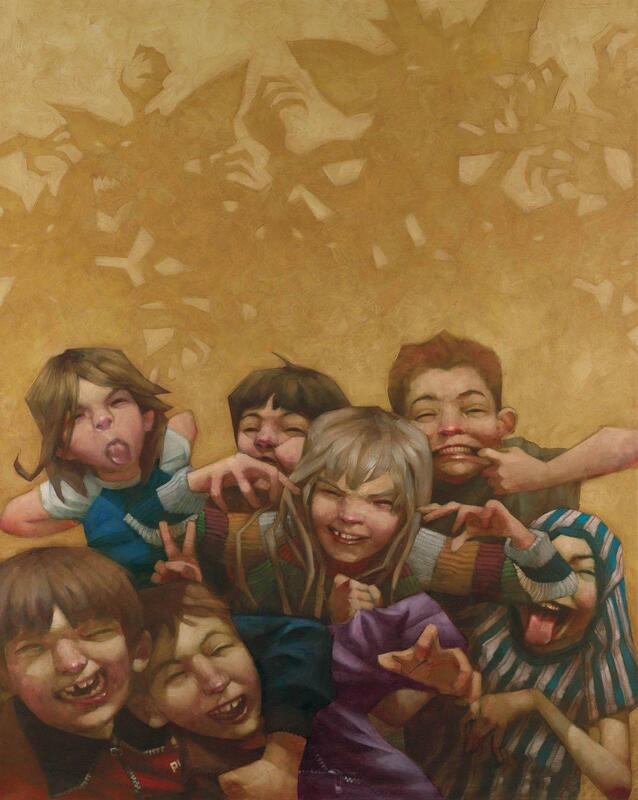 We had none of the things that exist today, yet we were happy. 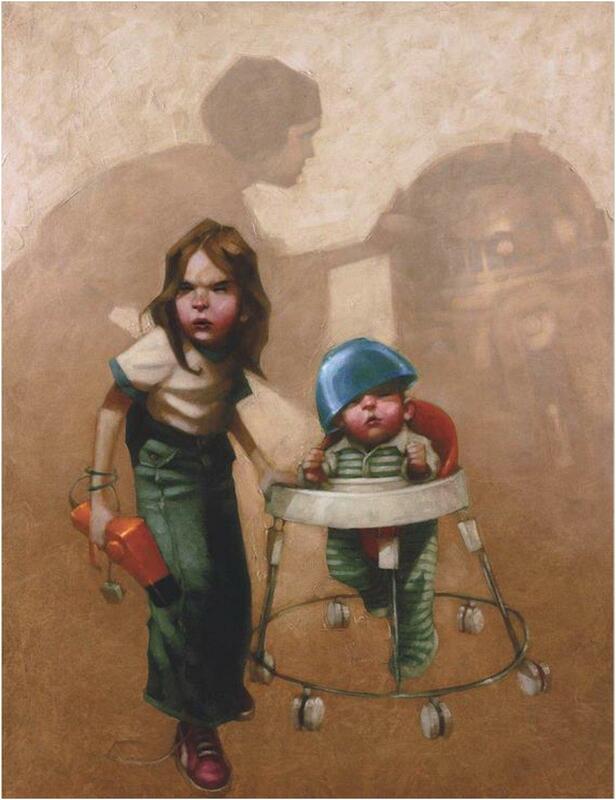 We had real friends who would join us in our adventures into the world of imagination, where a stick was a light saber or a mixing bowl and a serving tray became the indestructible armor of a valiant knight. 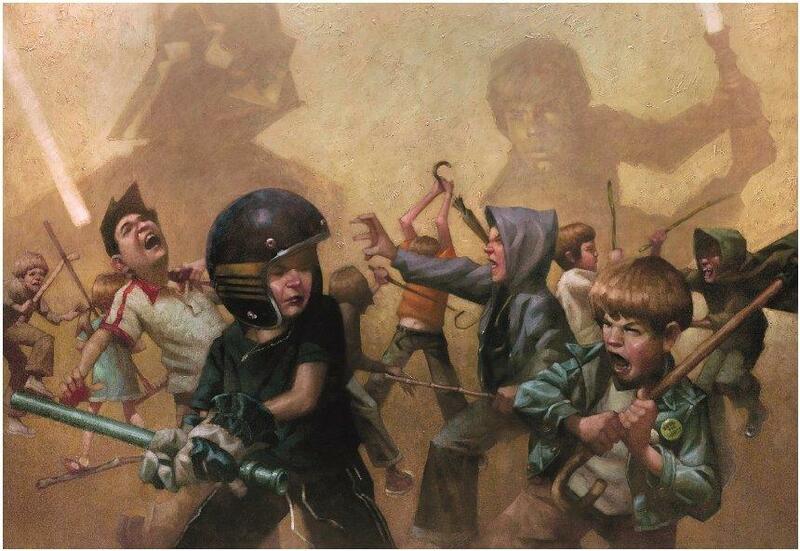 Yes, those were happy days and it’s really sad that that way of playing is dying out. 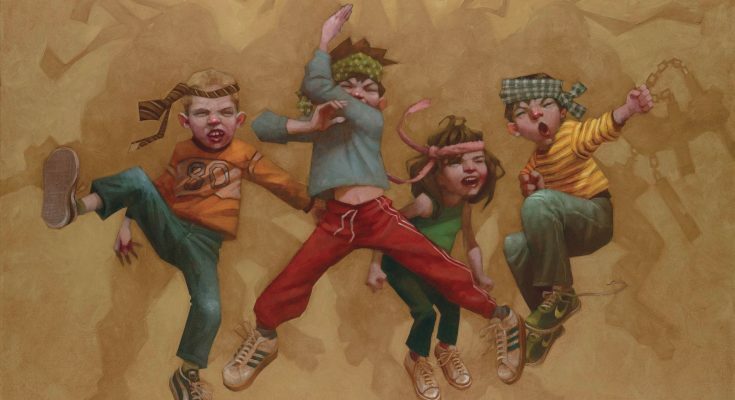 We need to show them how to be kids again, how to play with other kids, not with things. 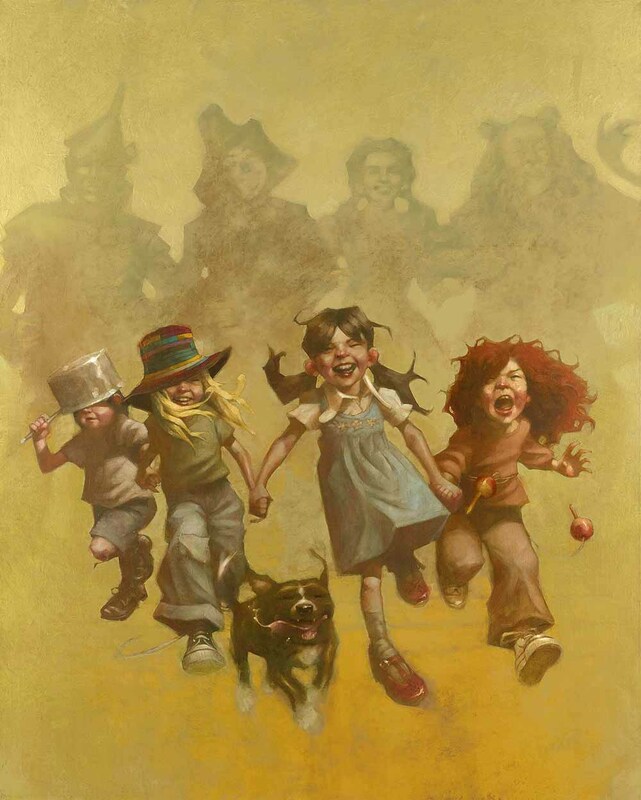 This nostalgic collection of painting will not only bring back fond memories of your own childhood, but you can also show your kids just how fun playing pretend can be. 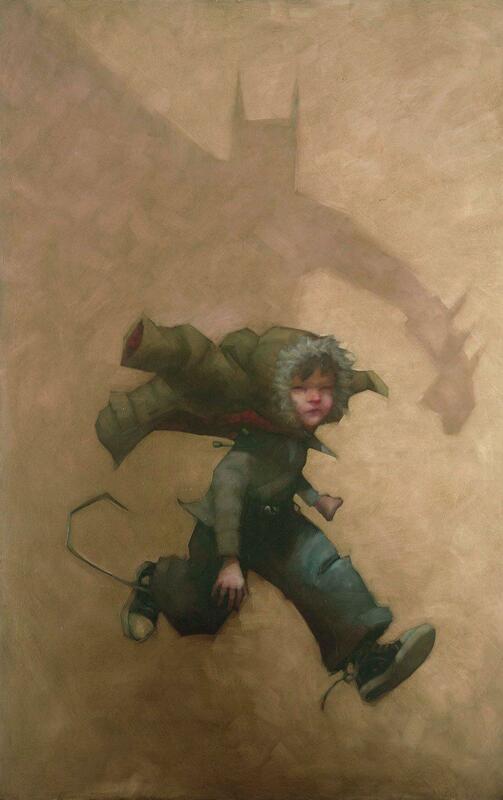 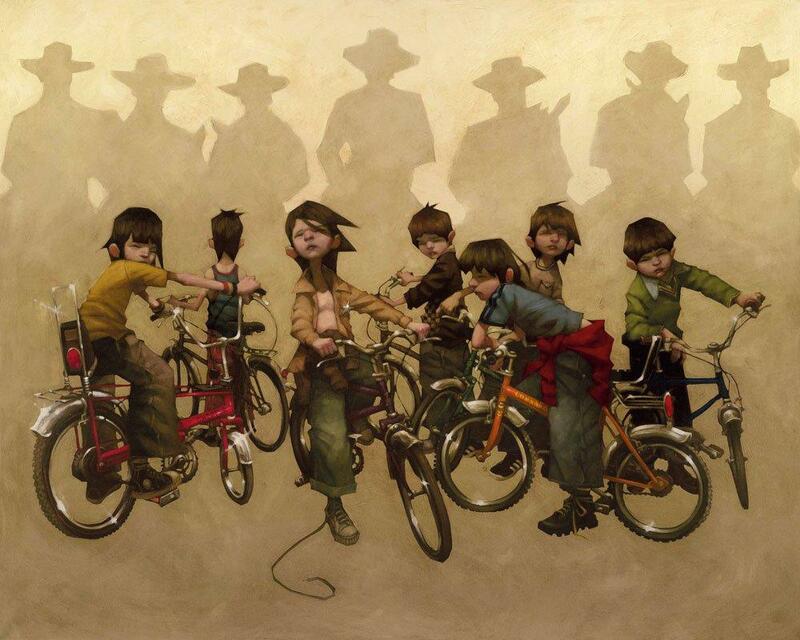 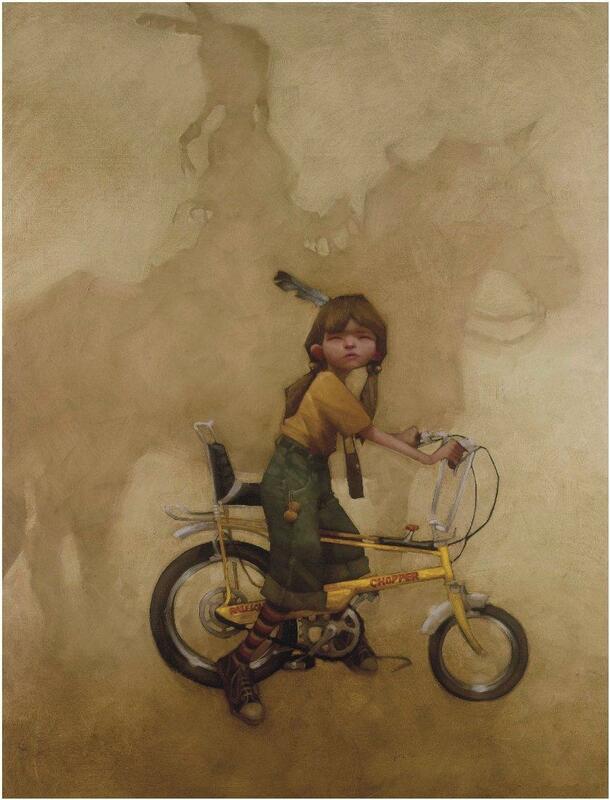 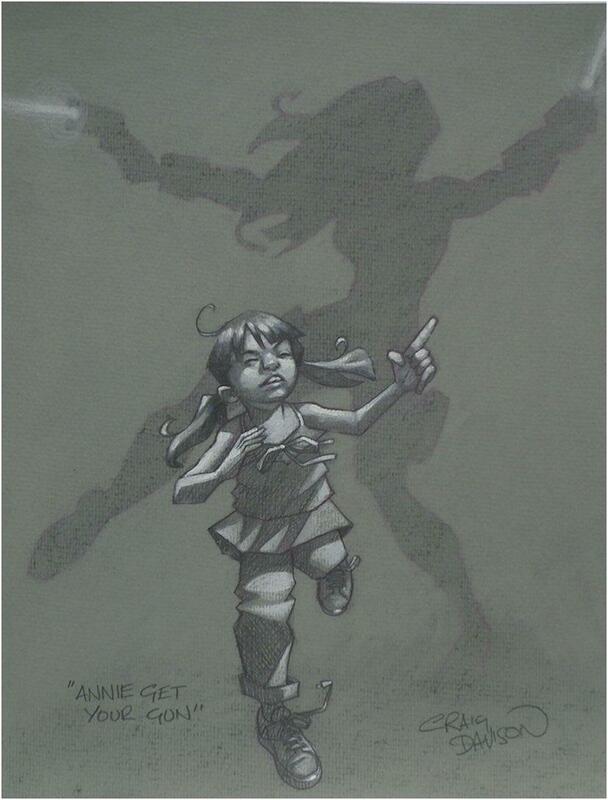 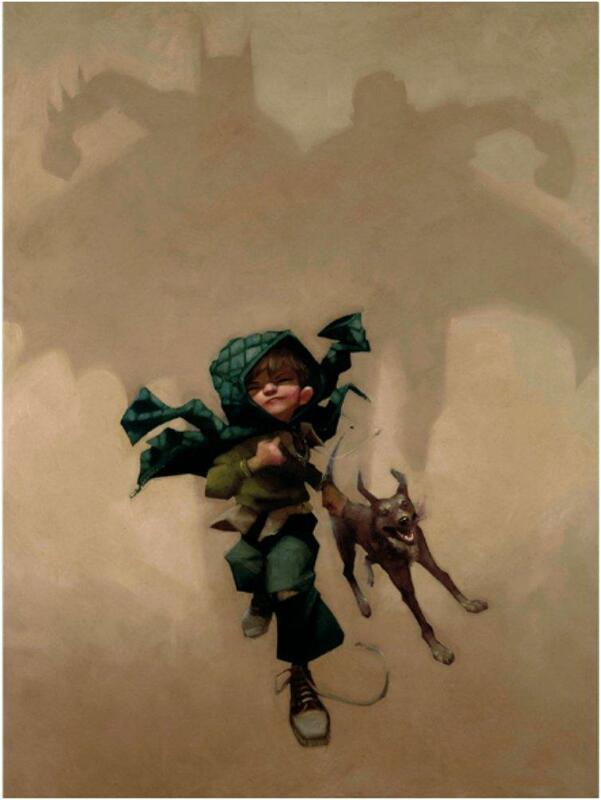 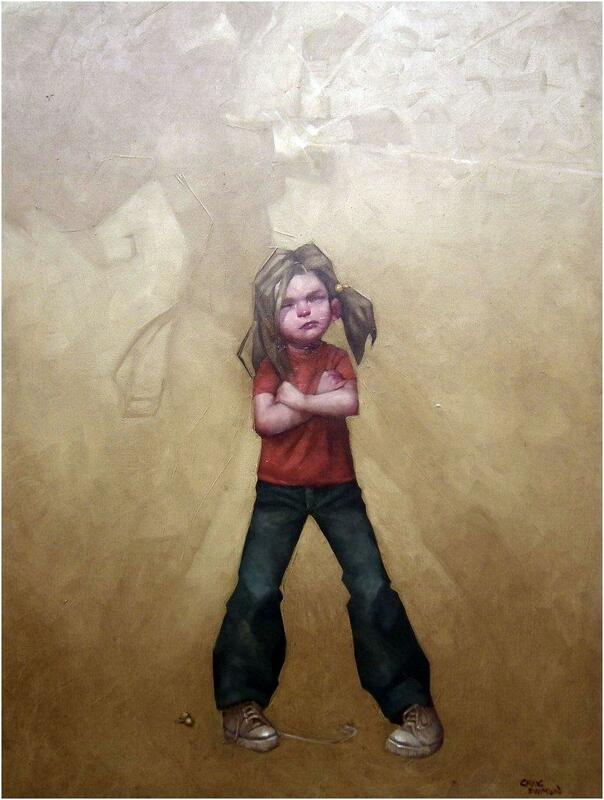 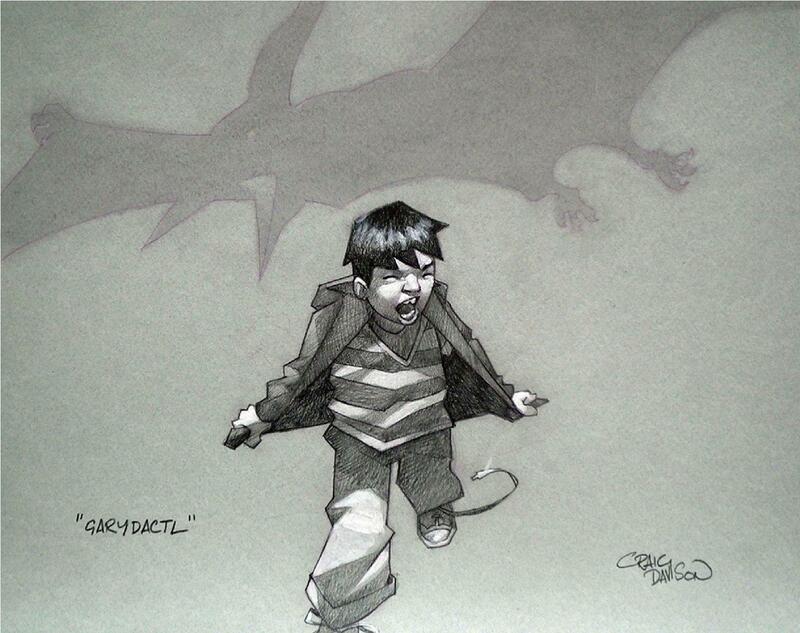 Make sure to visit Craig Davison’s website to see more of his amazing work.